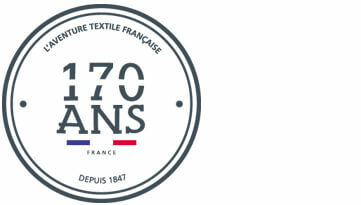 Alexandre Turpault offers sincere and durable tablerunners in a varied palette of material, colours and patterns to be mixed and matched with placemats, tablecloths and napkins : long fiber pure linen with Teflon stain release treatment for most of our products, sateen and fancy weave in 100% cotton coated and printed by the best Italien master printers. 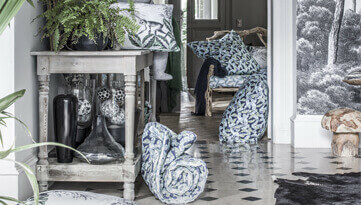 Table runners can gorgeously spice up the décor of your table and dining room. Alexandre Turpault beautiful table runners will easily transform your daily table into a special table for any occasion. Thanks to the finish of our luxurious table runners, you can add an elegant touch to your table. Indeed, you can create an amazing table setting with our table runner to create a luxurious atmosphere for any formal gathering as well as for any casual events. 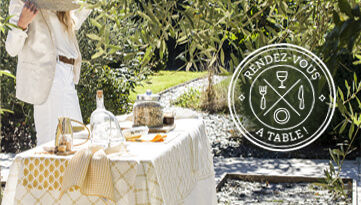 Thanks to table runners, you will add an elegant touch to your dinner party. When choosing your beautiful table runner, keep 3 elements in mind: the color, the pattern and the texture. These elements should match the décor of your dining room. You can play with colorful table runners like our beautiful yellow table runners, black table runners, red table runners, green table runners or with our white table runners to coordinate with the seasons, holidays and your mood! 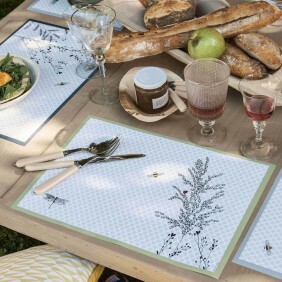 In Alexandre Turpault table runner range, you will also find graphic design table runners as well as embroidered table runners. There are table runners for every table and every celebration. 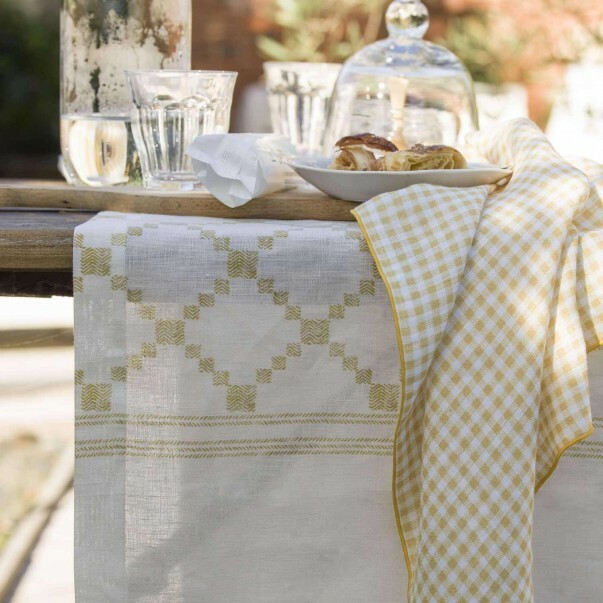 Mix and match your table runner with the other Alexandre Turpault table linen such as placemats and napkins to add sophisticated details to your table. 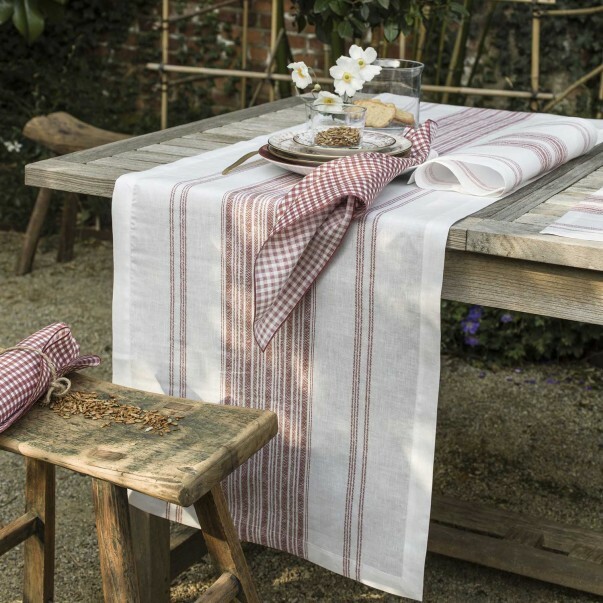 Our plain dye pure linen table runners not only add elegance to your dining tables, but they also protect your table. You can use your table runners on various types of table. 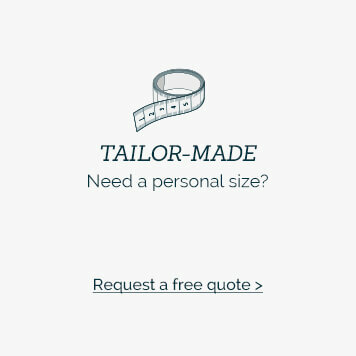 Indeed, you can place your table runners on your dinner table but also on a patio table, a coffee table, a sofa table, a hall table no matter if it is a round table, an oval table a rectangular table or a square table. You can place your table runners in different ways. For instance, you can decide to place your table runners running lengthwise, in the middle of the table. You can also decide to place it in a less common way such as placing them across the table, in front of each chair, to create placemats. Linen table runners and cotton sateen table runners are offered in the wide range of table runners at Alexandre Turpault. 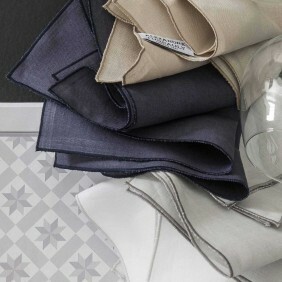 These table runners have the most luxurious feel and appearance. 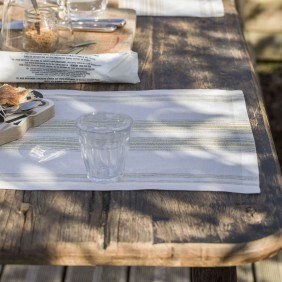 Linen and cotton are natural fibers that make durable table runners becoming softer with use. 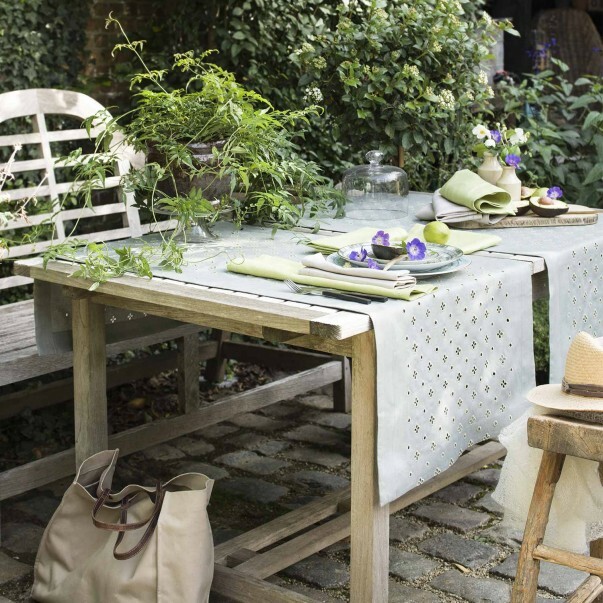 Most of our table runners are coated with the Teflon stain release treatment. 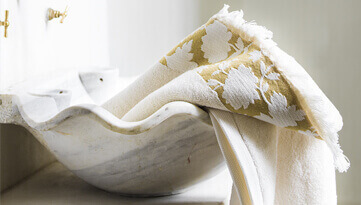 This treatment allows you to wash your beautiful table runners and remove most oil-and-water-based stains. The Teflon treatment that we apply on our table runners are developed for fabrics so it does not impact the feel touch of your table runner.